Fill in your details below and we will let you know within 24 hours if we can get Chinese Checkers Premier to you with haste! Hand crafted from European hardwood and protected in a rich, dark finish, the premier line of wooden games offers heirloom quality products in beautiful gift packaging. 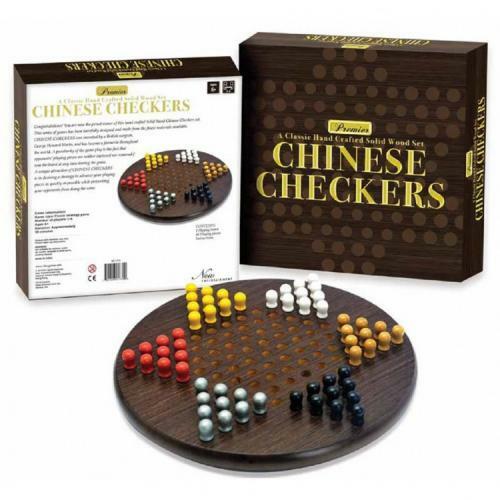 This classic game of Chinese Checkers is a thrilling game of strategy and is the perfect family game.